Consistently for the Last 7 Months! Prior to 2013, the coloring book industry was focused on children and simple artistic designs for children to color. Then in March of 2013, Johanna Basford forever changed this industry. With her release of “Secret Garden: An Inky Treasure Hunt and Coloring Book,” adults around the world rediscovered the joy of coloring books as a leisure time activity. Five years after its release, “Secret Garden” is still selling 64 copies a day on Amazon — nearly 1,900 copies per month — not including her sales from bookstores, big box stores, or other websites. The English version of this coloring book has so far sold over two million copies, and it has since been translated into 14 languages. Basford has since published six more coloring books for the adult marketplace. In fact, she has almost single-handedly changed the prospects of the print publishing industry. By the end of 2016, industry insiders were saying that coloring books were one of three genres in the print publishing industry that was seeing year-over-year growth in sales worldwide. Not only are these books popular in the United States, they are equally popular in various countries in every part of the world. 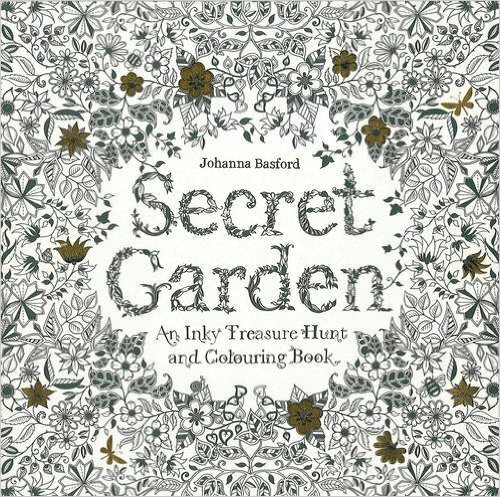 The number of authors participating in this genre exploded in 2015, as news outlets began to pick up on the story about the popularity of Basford’s “Secret Garden: An Inky Treasure Hunt and Coloring Book” book. Big corporations such as Marvel Books and Disney jumped into this market, and thousands of self-published authors also jumped into the market. As the availability of coloring books for adults exploded, I checked out many of the titles available inside Walmart and local bookstores. To be honest, a lot of the titles that found distribution in the big box stores were poorly designed with lackluster coloring images. Even self-published authors rolled out thousands of books with absolutely uninspired and boring designs in them. The books that have survived the test of time and produced consistent sales have been those books that put the customer first and give consumers the kind of designs they actually want to buy. It is a novel concept, isn’t it? If you give consumers the kinds of books they want to buy, they will gratefully pay you money to get their hands on your books. You might be surprised to learn that a large number of the books that are consistently in Amazon’s Top 100 Coloring Books are from self-published authors. The corporations are simply not matching the popularity of the self-published authors in this genre. While a lot of people who purchase coloring books are coloring to relax, a strong number of people will put their colored images in a frame on the wall to share their talents with family and friends, or post their colored pages on Facebook to show off their “artistic skills” to the world. It is a fact that there is a significant population of people, who see coloring books as a tool to help them demonstrate to the world that their talents are worthy of public recognition and praise. Di is the creative genius, who created the incredible artwork contained in our PLR packages. NOTE: Beginning in February of 2019, we will no longer offer monthly subscription plans. Anyone who chooses the Subscription Plan will have access to 12 months worth of content – or 600 PLR images. Q1: What format are these images delivered? A1: All images are produced in JPG format, 2550 x 3300 pixels, 300 dpi. Each package has 50 individual images in it, and they are packaged within a ZIP file that we will make available to you to download. To simplify delivery of the PLR Packages, we have constructed PDF files that contain the download URL’s for the ZIP files. The Video Training is included on one particular page within of our Membership Website. The Subscription Membership PLR Packages are also delivered as ZIP files, but we will provide a direct URL for those download files inside of our Membership Website. A2: We do not do refunds on PLR Artwork. There will be No Refunds for any offer listed on this sales page. Once you have made a purchase and downloaded the files, there is no way we can prevent you from using them. If you are unsure about your decision to purchase, please watch our Preview Videos again to see what is included inside each package. Q3: Can I use these artwork images inside of a commercial book that I am going to sell on Amazon, Etsy, my own website, or anywhere else? When you purchase our artwork, you are free to use it inside any coloring book, journal, book or consumer package you produce. Q4: What limitations — if any — apply to these PLR Artwork Image Packages? A4: You can use our PLR Artwork Images inside any book publishing project or package that you sell to consumers. You may not sell the raw images to other book authors or publishers. Q5: I have purchased the membership, but I am having problems accessing the member’s area. How can we get this resolved? A5: About 10% of the people who purchase access to our membership programs have issues creating their account and accessing our membership area. When you email him, please send him your preferred password, so he can get your account set up more quickly. Please allow him up to 72 hours to respond to your email, as he does occasionally take time away from the computer. However, it should also be noted that he does answer most emails in just a few hours. Q6: Are there any up-sells? A6: No. We do have several offers for you, but they are all shown on this page, and they are all available on this page. There are six (6) buy buttons on this page. When you click on any of the Buy Buttons to make a purchase, the purchase page will open in a new window, which will give you the ability to purchase several items should you choose to do so. Q7: Will I also get all three PLR Packages when I sign up for the Subscription Membership Program? The three (3) PLR Packages are separate from the Membership program. They are stand-alone offers for people who may not want to participate in the membership offer. Each PLR Package has 50 PLR Images that are delivered in a Zip file, which is linked inside the delivery PDF. Once you get inside the Subscription Membership Program, you will have access to another set of 50 PLR Images that you cannot access any other way, and in future months, you will be given access to new sets of 50 PLR Images that we will be making available to our subscribers. We have made it a point to show you all of the artwork included inside our packages with this offer, so what you are purchasing should be absolutely clear to you. If you are upset that we have a No Refunds Policy on this offer, then please don’t make a purchase. Below, you will see options for each individual Coloring Art Designs PLR Package. When you make a purchase of one or more of these packages, we will deliver a PDF with links to the ZIP files for you to download the images. You will also see one option that allows you to purchase all three (3) Coloring Art Designs PLR Packages, at a discounted price. The “Buy ‘Em All” option will deliver a PDF file with the download URL’s for all three PLR Packages. For those folks who have never created a coloring book previously, we have Video Training available, to show you how to assemble your coloring books and publish them through Createspace, which is owned by Amazon. We will also have an option below — Subscription Membership Program available, for those of you who would also like to join our Coloring Art Designs Subscription Membership program. Anyone who joins our Subscription Membership will receive the Video Training at no extra cost. Please be aware that I am not sitting beside the computer every minute of every day, and I occasionally take time away from the computer to do real-life things. I ask that you allow me 72 hours for a response, but you should know that I answer most emails within just a few hours.